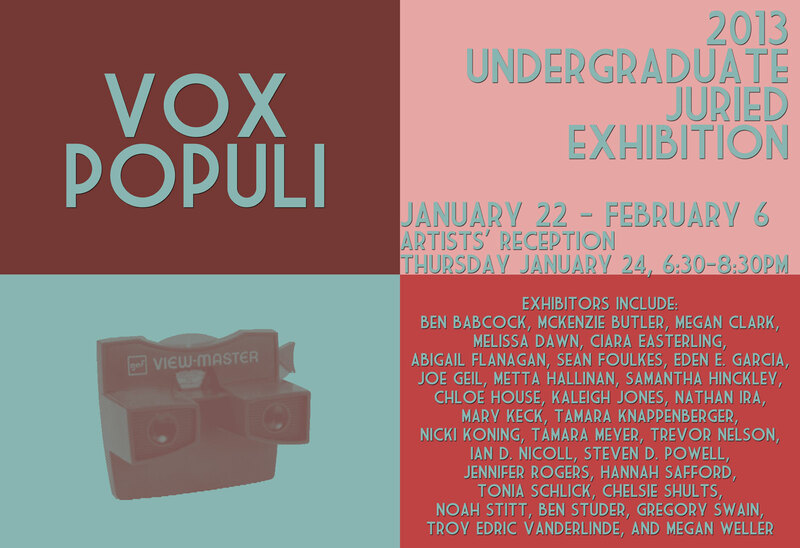 Montana State University School of Art and the Helen E. Copeland Gallery invite the public to Vox Populi 2013. 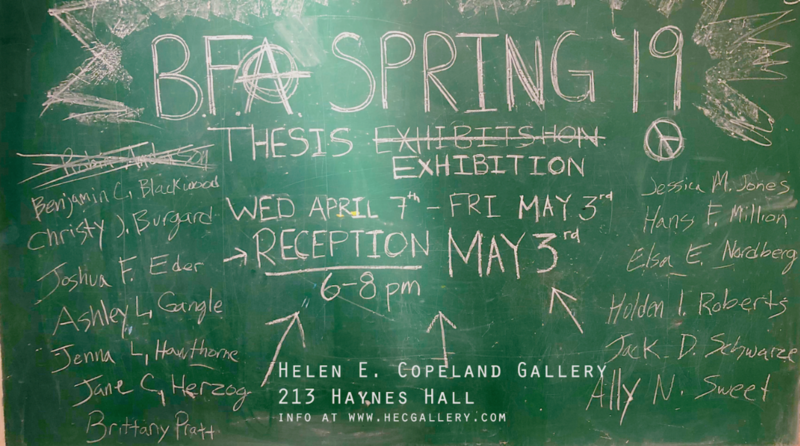 This annual juried exhibition is a diverse and unique selection of artworks by MSU undergraduate students from across the campus. This exhibition is free and open to the public. Please join us for an opening reception on Thursday January 24, 6:30 – 8:30 PM. This year’s jurors are Patrick Hoffman, Installation Artist and Art Teacher at Bozeman High School, and Mette Juul, Lens-Based Multimedia Artist/Photographer and MSU School of Art iAIR Spring 2013. We received over 150 submissions this year and would like to thank the jurors for their hard work and contributions. As incentive for student participation, we hold a raffle open to all students who submitted artwork. The drawing will be held on Thursday January 24 at 7:00pm. Follow us on Facebook (http://facebook.com/msuhecg).